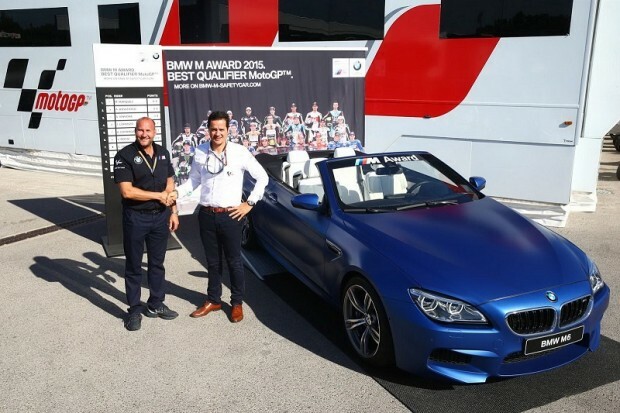 As if winning a MotoGP championship isn’t enough, BMW also offers the ‘M Award’ to the best qualifier from the season. Points are awarded per position that riders qualify in and then accumulated for the season. The rider with the most points at the end of the 2015 season will win a very special BMW M6. BMW’s M Award points system works as follows: 25 points for pole, 20 points for 2nd and 16 for 3rd place. Marquez is currently leading followed by Dovizioso and then Lorenzo.